Nordic Precision Medicine Forum encourages smart-thinking, innovation and collaboration. The second annual Nordic Precision Medicine Forum took place in Copenhagen this week. PMF editor, Mark Glover, offers his highlights from the two days. In 2010, the Crowne Plaza Copenhagen Tower hotel in Copenhagen was awarded status as the world’s greenest hotel. All of its energy comes from renewable sources, and all of its facades have solar panels and, compared to other hotels, it uses 65 per cent less energy. It’s a smartly designed and innovative building. It seemed an appropriate venue then for the second annual Precision Medicine Forum which took place from 20 to 21 March, where innovation and smart-thinking was at the forefront of the two days. 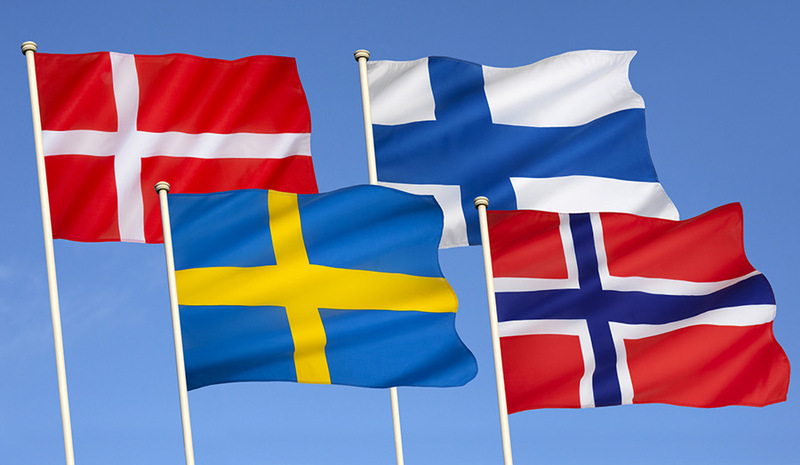 Presentations covered a range of topics including biomarkers and diagnostics, patient perspective combined with thorough policy overviews of each of the Nordic countries, delivered by key individuals from Norway, Sweden, Finland and Denmark respectively. The National Genome Centre in Denmark will form an important part of this illumination, and the event’s first speaker, Gert Sorenson, the Centre’s Director explained how it also forms an important part of Denmark’s precision medicine strategy. Aaarno Palotie from The Institute for Molecular Medicine Finland, conveyed how FinnGen – a study that aims to match genomes with 500,000 blood samples will enhance research in Finland. The country has strong political support and while the next presenter, Dr. Jaakko Yrjö-Koskinen from the Ministry of Social Affairs in Finland, affirmed this, he also revealed the public concern that the population had in sharing their data. Similarly, Anne Forus, Senior Adviser, Department of Biotechnology and Health Legislation, Norwegian Health Directorate, used her presentation to suggest that the way precision medicine is conveyed to the Norwegian public is causing confusion. Transparency and communication was a key theme throughout the event. Richard Rosenquist Brandell then told delegates that NGS gene panels in Sweden now account for fifty percent of lung tumour analysis in Sweden. The Project Leader at Genomics Medicine Sweden presented this remarkable statistic while outlining his country’s latest progress in the field. A strong example of Nordic collaboration is the Nordic Alliance for Sequencing Personalized Medicine, set-up by Stephen McAdam, from DNV, who explained the concept behind the initiative and its goals for the future. “It’s about building bridges between research and clinical communities, technologies and practices to foster innovation,” he said. After his talk I asked him to define innovation and what it means to precision medicine stakeholders. “It’s a successful implementation of an idea,” he told me. And where does it come from? “From a combination of industry and the hospital environment,” he affirmed. Despite the confusion, Werner, who is a member of the board responsible for the national strategy for precision medicine in Denmark, believes that the Danish public are onboard. “We have a united infrastructure. We have trust and faith in the way our data is being stored,” he said. In a fascinating talk, Mette Nordhal Svendsenn, Professor of Medical Anthropology and Director of the Master of Public Health Programme at the University of Copenhagen, gave insight into a study called MeInWe. It explores the ethical, organisational and regulatory frameworks in precision medicine, specifically in Denmark’s welfare state, and in her presentation, Svendsenn questioned what precision means to be human and how a patient essentially becomes a potential research subject. It was a fascinating philosophical insight into the field, and perhaps one that often gets overlooked. Questions around standardising, regulating and utilising large amounts of health data continue to circle in the precision medicine sphere, and beginning the forum’s focus on this theme, Danilo Verge, from AstraZeneca asked what the role of Real World Evidence (RWE) would play in clinical evidence generation. Hans Cobben, CEO of Bluebee, a cloud-based genomics analysing platform, gave a genomics perspective on precision medicine becoming a data-enabled reality. “Security, regulatory compliance, a patient-centric approach and an adaptive infrastructure can enable the future-proofing of precision medicine,” he said. Markus Kalliola from SITRA, the Finnish Innovation fund, explained how to successfully utilise both regulated and unregulated data and Soren Brunak, Novo Nordisk Foundation Centre discussed data in patient-past based precision medicine. The data-track presentations were concluded by Martin Bogsted, from the department of clinical medicine at Aalborg University, who dissected the use of data models in dynamic precision medicine. In the panel debate that followed, Vivienne Parry asked the speakers how much data is too much data? “It is really difficult to say how much data we will have over the next twenty years,” Kalliola offered. Cobben suggested that collecting large amounts of data can help us discover the meaning of data-sets that, at the moment, we do not know. Following lunch, the focus shifted to the different disease areas. Having recently published a study that identified new sub-classifications of type 2 diabetes, Leif Groop shared further insight into this potentially ground-breaking research, and in particular the benefits for precision medicine in combatting the disease. Professor Joakim Lundeberg concluded the day’s and the forum’s presentations looking at Transcriptome wide analysis in situ. Lundeberg who is Director of the Genomics platform at SciLifeLab, suggested that the analysis could be a potential tool for precision medicine. To round-off the event, delegates then took part in a series of interactive round table discussions covering clinical implementation, population genomics, biobanking and big-data. The latter, hosted by Bogi Eliasen and Anne Mette Bang, Customer Engagement Manager at Cambio also took in Artificial Intelligence, machine learning and deep-learning. Sharing his thoughts on the two days Precision Medicine Forum Director, Steve Coldicott said: “People ask me, ‘How do you feel it went? Are you happy? But it really doesn’t matter what I think, it matters what attendees feel, and the overwhelming response was, ‘It’s the best event for the subject in the region. How did you pull together such a group of high level speakers?’ I think it is important that an annual event evolves each year so as to remain current, useful and attractive. So, as they say in sport – we go again. See you in 2019!